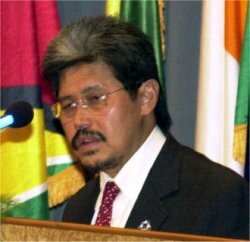 Duli Yang Teramat Mulia Paduka Seri Pengiran Perdana Wazir Sahibul Himmah Wal-Waqar Pengiran Muda Mohamed Bolkiah or His Royal Highness Prince Mohamed Bolkiah was born in 1947. He is the brother to His Majesty Sultan Haji Hassanal Bolkiah Muizzaddin Waddaulah, The Sultan and Yang Di-Pertuan of Brunei Darussalam, the 29th Sultan of Brunei and is the second son of His Majesty Sultan Haji Omar Ali Saifuddien Sa'adul Khairi Waddien, the 28th Sultan of Brunei. 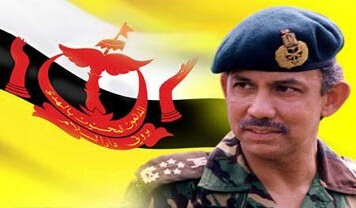 Immediately following the independence of Brunei Darussalam in 1984, His Royal Highness was appointed as the Minister of Foreign Affairs and have held the appointment since then. His Royal Highness also holds the title of the Chief Vizier (Perdana Wazir) in the Royal Court.